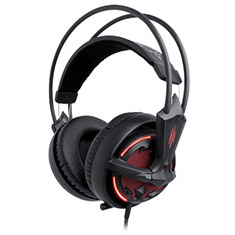 The SteelSeries Diablo III Headset was designed to optimise the sounds reproduced through its 50mm driver units - from incredibly high shrills to low bass tones that are consistently played throughout the game. 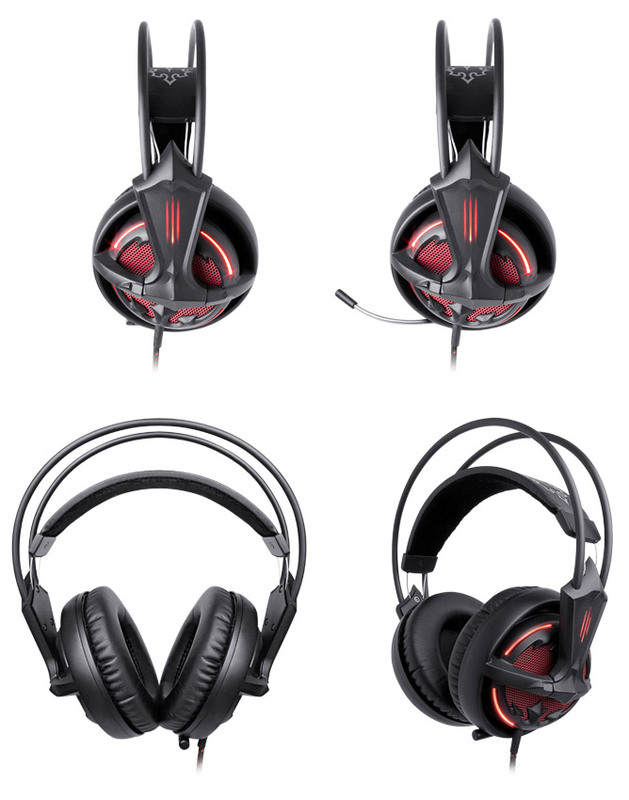 Its lightweight, over-the-head suspension provides long-lasting comfort while the noise-cancelling, leather earcups keeps the world out and the game sounds in. The headset has a matte-black finish with a unique, knot-work design on the headband. 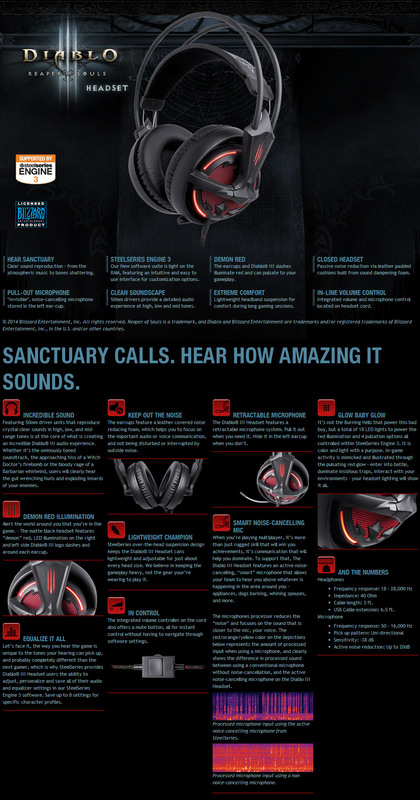 The "demon red" illumination can be seen on each earcup offering players 4 levels of pulsation options (including off). The headset also includes a uni-directional retractable microphone-system and in-line volume and mute controls.